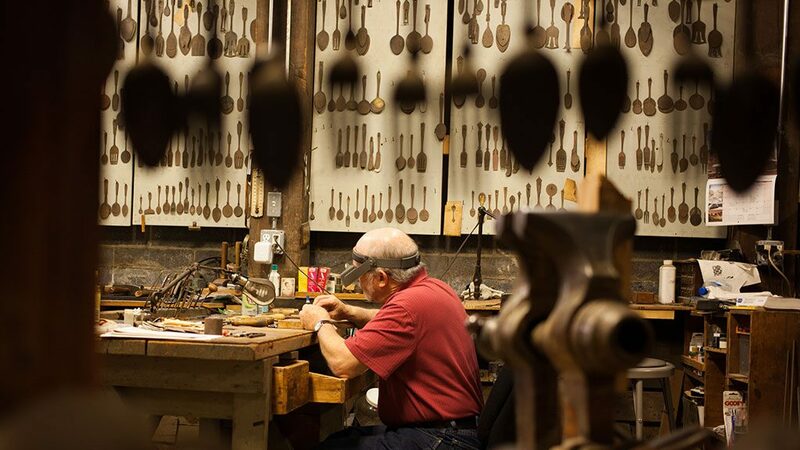 The craft of silversmithing in New England existed even before America’s most patriotic silversmith, Paul Revere, made his famous ride. Old Newbury Crafters in Amesbury, MA was one of the best at the time. Fourteen generations later, it is now in the capable hands of a young metal artist, Chloe Darke. She leads the company in handforging extraordinary objects and declares “there’s a rebirth of craft for people in my generation who are interested in traditional ways of making things.